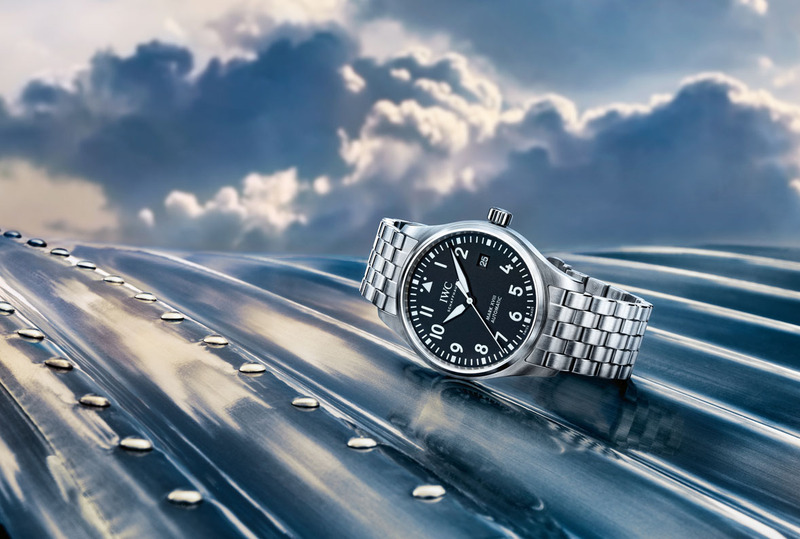 Watch legends like the Mark 11 of 1948 have had a decisive influence on the appearance of the new classic Pilot's Watches. 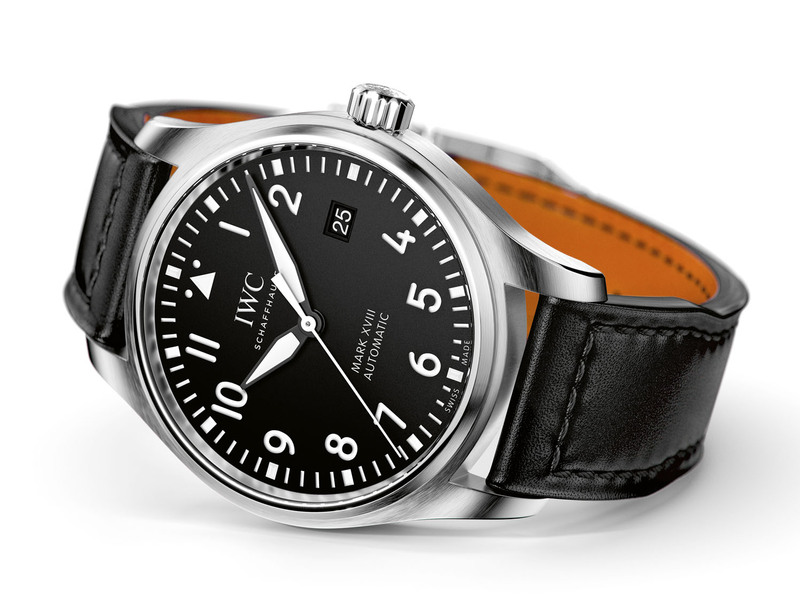 In 2016, IWC Schaffhausen is launching the Pilot's Watch Mark XVIII as an entry-level model with a calfskin strap or stainless-steel bracelet. 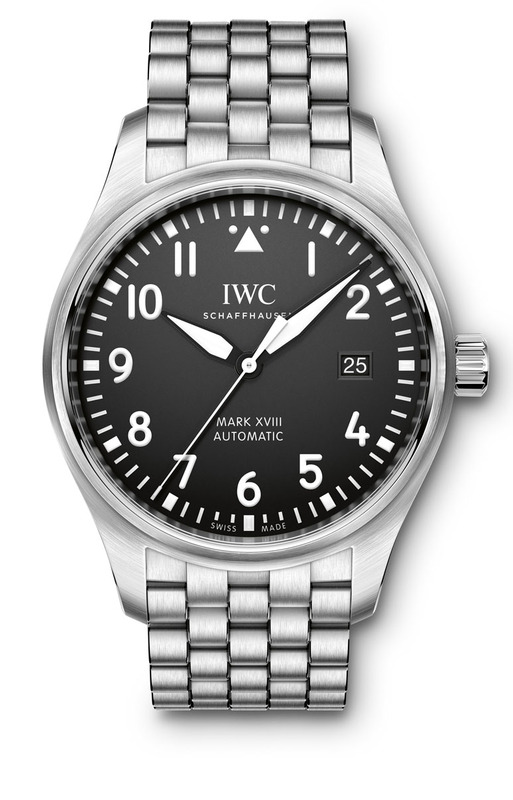 The case, in stainless steel, measures 40mm x 11mm. It has an AR-coated sapphire crystal and it is water resistant to 60 meters. It has a soft-iron inner case for protection against magnetic fields Screw-in crown Glass secured against displacement by drops in air pressure Special back engraving. 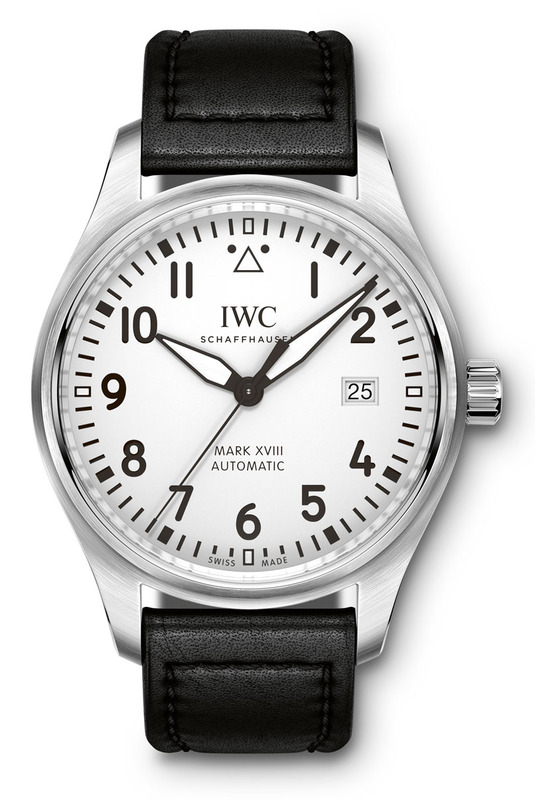 Movement is the Swiss automatic IWC caliber 30110 with 21 jewels, 28,800 vph and a power reserve of 42 hours.